Kids and adults alike can climb on historic mining equipment, including trucks, a steam shovel, restored locomotive and a drill. 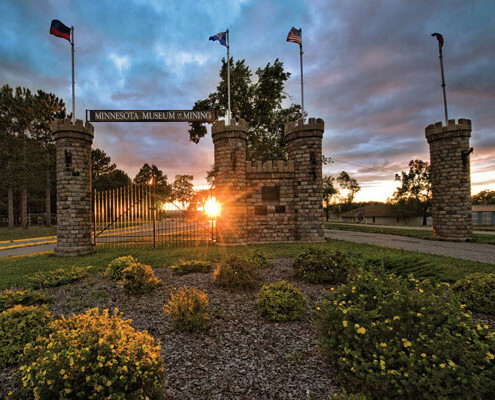 Tour a replica underground mine and explore exhibits dedicated to the early days of mining in Chisholm. Check out the elaborate electric railroad and realistic diorama. Great place for a family picnic! 701 West Lake Street ~ watch for the museum sign and castle! Open Memorial Day to Labor Day, Monday-Saturday 9 a.m. to 5 p.m. and Sunday 1 p.m. to 5 p.m.
At one time there were 100 open pit mining operations in or near Chisholm but the community originated as a logging town.